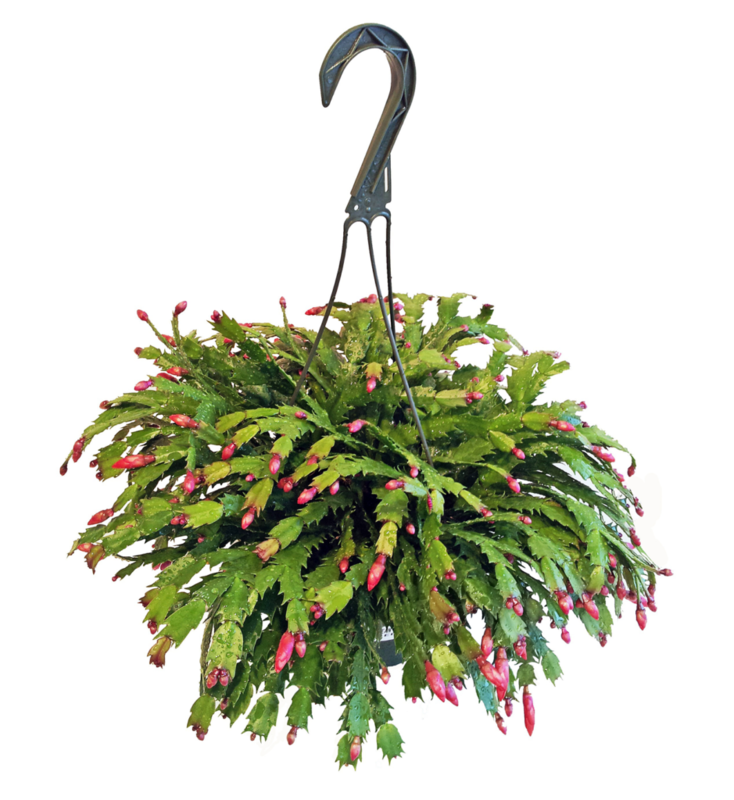 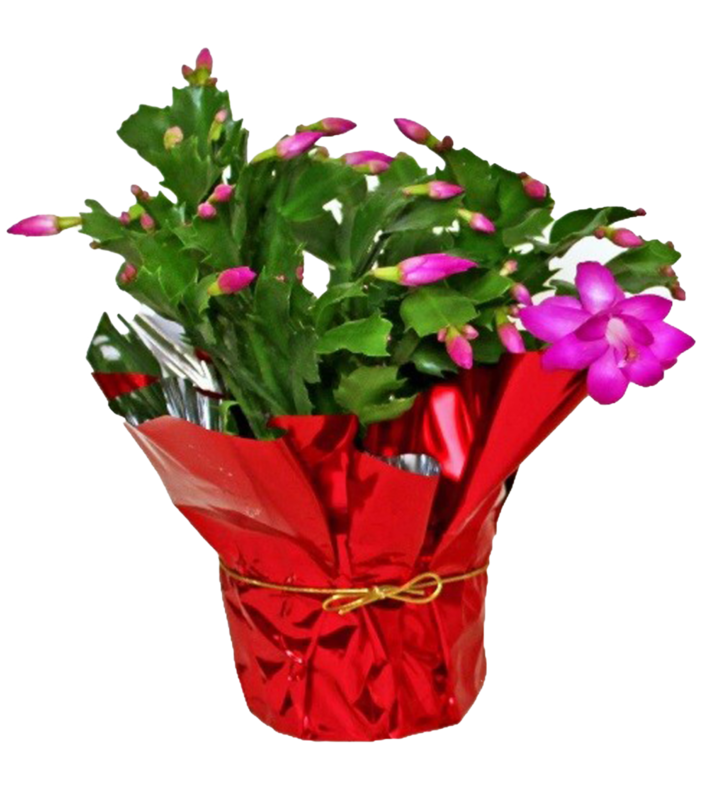 Also called Christmas Cactus, Thanksgiving Cactus, and Holiday Cactus, the Zygocactus is a type of cactus speckled with beautiful flowers, usually in pink and red. 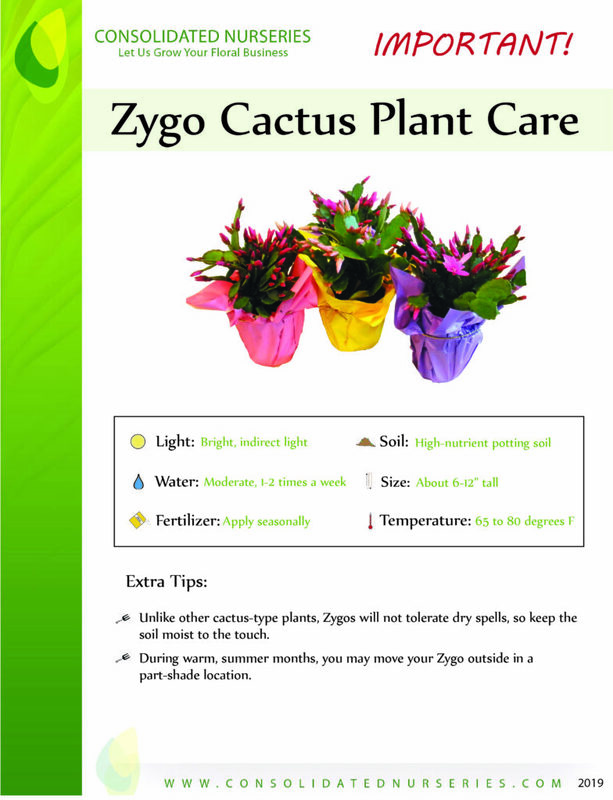 We sell Zygocactus around the holidays as well as during Easter. 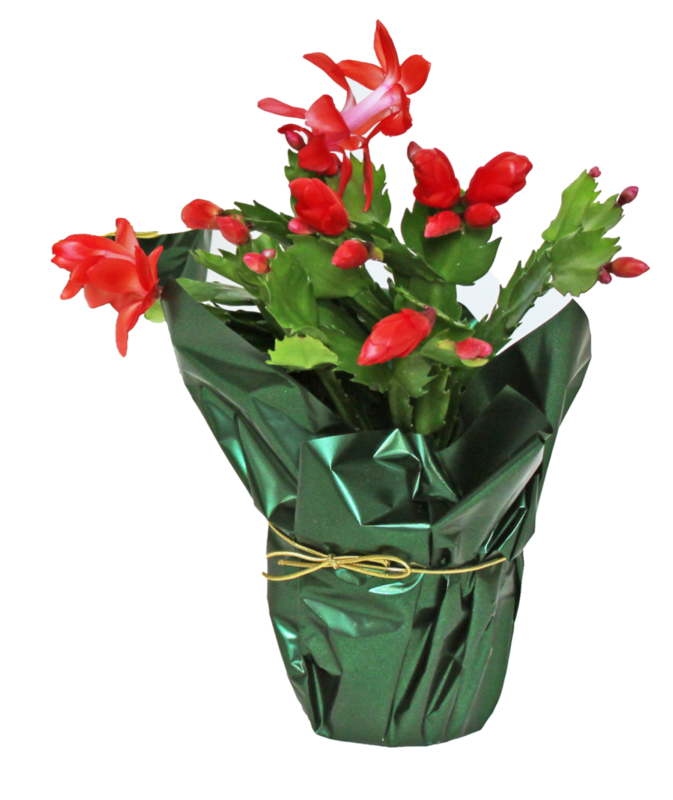 The scalloped leaves offer a beauty of their own when blooms die off, but with proper care, you can expect it to bloom again.